The Grosvenor Golden Horseshoe casino in London is one of those places where the name alone catches your attention. I reckon most of us are familiar with the superstition behind the horseshoe - with it bringing luck. So it instantly gets me wondering if a golden horseshoe gives more luck? Anyways, let us leave my tangents for another day and get on with this review. Located less than a minute from the Bayswater tube stop - this casino is easy to access via car, tube or even bus. If you are coming in from outside of London your best bet would be to get off at the nearby Paddington train station and go from there. The casino itself is open 24 hours a day, seven days a week and they promote themselves as "the perfect day-and-nighttime leisure destination". I might not go as far as to call it perfect - but once you visit the venue you will see that the management has a fairly strong argument to use these words. With a bar, restaurant and regular events and entertainment it does make for an exciting night out in London. 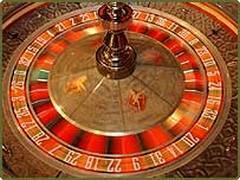 The Golden Horseshoe is a casino that offers a fairly comprehensive selection of games for the experienced gambler. It will not have the same selection as some of the larger casinos in the city - mainly due to the lack of space. With that said, the tables and machines are laid out in such a way that the gambling floor never really feels crowded or cramped - making it a very pleasant place to gamble. In terms of the actual games there is a good mixture of more classic casino games and some more modern additions. The main part of almost every London casino is the American Roulette tables - and the same holds true for the Golden Horseshoe. Alongside this we find a decent amount of Blackjack tables and to finish things off we find some tables for Poker. The more modern gambler - or the slot lover - can find happiness in the fact that there is quite an extensive offering of slot machines spread out around the gambling floor. When the casino says that they have "the best gambling experience in town" we will have to take that statement with a pinch (maybe a kilo) of salt. At the Golden Horseshoe the go all out when it comes to providing an experience worth bringing friends to. It might not be the most exclusive place in town, have the most games - but what this casino does have is a little bit of everything. In this category we definitely count the restaurant, a nice little part of the venue that complements the gambling area very well. Food is served throughout most of the day and even though the dishes are fairly simple it still makes for a nice dining experience. Alongside the restaurant we find the casino bar. This is where you can go to relax after a long day of gambling, have a pick-me-up after a few too many bad hands or even get the night started before you sit down at the tables. The selection of drinks is quite good, with cocktails, beers, wines and spirits all on the drinks menu. In terms of leisure this casino does make an effort when it comes to providing entertainment. Some local acts as well as some X-Factor castoffs perform on a fairly regular basis - with some of the "bigger" acts playing during holiday themed events. It might not be a Las Vegas style show - but compared to a lot of other London casinos it is a nice place to spend a full night out. Trying to outdo other casinos by a great restaurant and bar does not always work - and sometimes casinos put a large emphasis on offering exciting events and promotions to get another step up on the competition. The Golden Horseshoe offers regular promotions where you can win money, food or free games without having to actually spend any of your own money. The current promotion at the time of this review is one for Halloween with a daily prize draw going on for two weeks. Events include themed parties for all the major holidays, solidifying the statement that this casino can offer a really good night out for all types of people. If you are really in to promotions and events your best bet would be to join the Grosvenor Reward Programme where you will be sent the latest news and updates regarding what is going on at the casino. You will also be sent even more exciting promotions and potentially event invitations for members only. Why the Grosvenor Casino Golden Horseshoe? Telling you about the good central location, the nice offering of games or the great food should be enough to convince you to gamble at this casino. But if you need more convincing then I am here to serve. The thing that makes this casino so good is the combination of all that it has to offer. There is a real emphasis on offering a complete package for a night out, not just gambling, just food or just drinks. The promotions pop up regularly, making it a great place to go if you are feeling more lucky than usual - without the risk of losing money. The Grosvenor Golden Horseshoe has a great name and some great facilities to go with it.